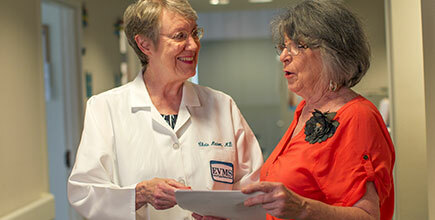 Family Medicine is the medical specialty that provides comprehensive health care for the individual and their family. Family Physicians receive specialized training in the biological, clinical and psychological aspects of all ages, sexes, organ systems and disease entities. The ability to provide medical care for the entire family offers an unique opportunity to view the family as a unit while emphasizing disease prevention and health promotion. When indicated, the family physician refers the patient to other sources of care while maintaining the role of coordinator of the patient's health services. During specialized care or hospitalization, this role prevents fragmented care. Our staff includes family physicians, family nurse practitioners, physician assistants, behavioral medicine specialists, geriatric specialists, and counselors who have access to specialists and other resources as needed. 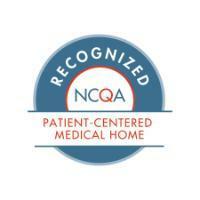 Congratulations to EVMS Ghent Family Medicine and EVMS Portsmouth Family Medicine for earning re-certification as a Patient-Centered Medical Home (PCMH). By earning re-certification recognition, both EVMS Ghent and EVMS Portsmouth Family Medicine have made a commitment to quality improvement using a patient-centered approach to care that result in patients that are happier and healthier.